The Google Panda algorithm (released in 2011) has affected a large proportion of websites over the past four years. However, there is some misconception over what the algorithm is actually looking for. Whilst one of the biggest elements relates to content (and in particular duplicate content), it also looks at a variety of other factors that you’re probably not aware of. One of most important things to note about the Panda algorithm is that the penalty is delivered at domain level. So even one or two duplicated or weak posts can lead to an affect on your ranking. Google has made no secret of the fact they trust quality sites and reward them accordingly. What does the Panda algorithm look to focus on? A website that has low quality and thin content – This does not provide the user with a great user experience. Generally content is too short in length and hasn’t been researched properly. 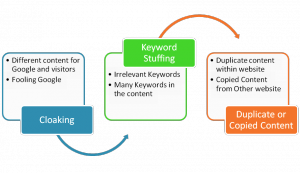 Keyword stuffing within content – Stuffing your content with the same keyword over and over again will not provide user with the best experience and Google’s algorithm can now spot where this has been done. Clone websites – This can happen very easily if your website is not configured properly. If your website does not have the use of www. or not configured correctly this can lead to a duplicate of the site. The same is true for URL’s with a trailing slash or not. In this instance it is important to get the correct canonical tag added to your site. A website that is working as a content farm – This is where large amounts of content are generated purely aimed at satisfying search engines, rather than benefitting the user. Websites that have irrelevant pages indexed in Google – Again similar to a content farm in that extra pages that don’t help the user are there purely to satisfy search engines. The use of internal duplicate content – where the same pieces of copy are repeated across other pages of your website. Aim to have unique content throughout. Siteliner.com is a brilliant tool to uncover the problems / areas you need to rewrite. Use of too many advertisements on page – If the ratio between content and Ads is too heavily in favour of Ads. Poor spelling and grammar in content – Google understands the English language (and others!) well enough to penalise poorly written content. Poor usage metrics – Things such as high bounce-rate and low time-on-page are signs of poor user experience and the page is not delivering what the user expected. Google understands this and will reward the sites around you in search results if they perform better here. One way to check if you have been affected the Panda algorithm is through the Panguin Tool. This is a freely available tool that shows a timeline of your organic traffic with an overlay of all the Google algorithm changes. From here it is quick and easy to spot whether you have been affected by a Panda update. To sign in is simple and doesn’t keep or record any sensitive data from your analytics. So when it asks to have offline access you can click accept, safe in the knowledge your data is secure. A client came to us in November saying they have seen a drop in traffic and immediately after running the site through the tool it was clear that they had been affected by Panda 4.1 on September 25th. We followed up with a prescription of issues to fix and a content brief to undo any duplicate content issues – the main problem in this case. As with any Panda penalty however, we are now waiting on the algorithm to be refreshed for Google to recognise the work undertaken and restore the site to its former high positions in search results. The last Panda update was on September 23rd 2014 and is long overdue. Good quality user metrics – Providing a user with a good experience and encouraging them to stay on page is an important factor in Panda. This includes metrics such as low bounce rates, time on site and pages per session. It is ensuring the user is carrying out what are intended to do. Positive social sharing and mentions of content - Promoting your own content and getting others to do likewise is a positive sign in Google’sand also attract more people to the site. Positive Reviews – Getting customers to write positive reviews from trusted sources. We are encouraging our clients to build reviews on Google properties only e.g. Google Places / Google Certified Shops. Third party review sites (such as TrustPilot) days are numbered in our opinion. Good quality engagement on comments section – Genuine engagement with users who provide genuine content related to each page. Positive reputation on the web – News articles, blogs, magazines, directories are all sources that Google looks at to understand the reputation of a business. 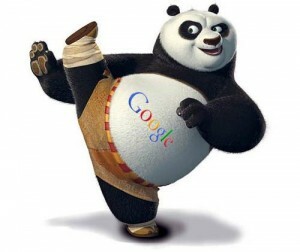 If you feel you have been affected by the Google Panda algorithm and think we can help, please get in contact today.